With more than 40 years’ experience to our name, customers across the Midlands and beyond have come to trust the friendly, expert service they receive at County Battery. And with branches right across the Midlands at Kirkby-in-Ashfield, Nuthall and Ilkeston, you’re never far from a County Battery branch that can take care of all your battery related needs. For a wide range of batteries at the best prices around, drop into your nearest County Battery branch or place an order here on our website. As the Midlands’ battery experts, no one knows batteries like the experts at County Battery. 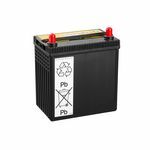 We have a wide range of batteries to suit all vehicles, so whatever the battery you’re looking for, you’re sure to find it here among our extensive selection. Along with high-quality car batteries for modern cars and vans, County Battery also stocks a wide range of batteries for all commercial vehicles and even classic cars. 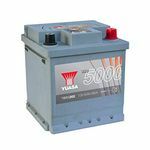 Basically, if it has four wheels and needs a battery we can supply it for you, so if you’re after a vehicle battery of any kind and for any vehicle, chances are we have it in stock. And at the best rates you’ll find anywhere in the United Kingdom. Give the friendly battery experts at County Battery a call if you have any queries about the high-quality car and van batteries that we have in stock. We’re here to assist you with all your battery related needs, and we offer a fast and reliable delivery service if you’re don’t have time to stop in at one of our three branches. As the Midlands’ battery specialists, County Battery stocks a comprehensive range of batteries from the all the leading names. Whether you’re looking for a car battery or a battery for a van, we present you with more choices than any other battery retailer in the Midlands. 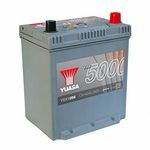 Take a look at the extensive range of vehicle batteries that we have in stock and we’re sure that you’ll agree. 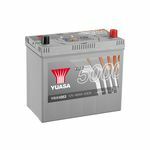 Some of the leading names in batteries that you’ll find in the County Battery range include Duracell, Energiser, Enersys, Exide, Fuller, Odyssey, Panasonic, Yuasa and Yucel. These are the biggest brand names in batteries, names that are trusted and renowned the world over. For the biggest names in batteries, think County Battery. 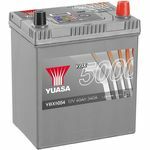 Our selection of car and van batteries for sale is extensive, so you’ll not only find the battery type you’re looking for among our broad range, you’ll also find that you have quite a few batteries to select from. 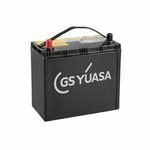 We offer van and car batteries for sale by all the leading names in batteries, so you can always shop for high-quality batteries with confidence here on our website, knowing that the battery you purchase for your car or van is of the highest quality and will serve you well for many years. You’ll find our extensive selection of premium quality car batteries and van batteries below. We have new products arriving all the time, so please feel free to contact the team at County Battery if you don’t see the battery you’re looking for among our selection below. Chances are we have it in stock, so don’t hesitate to give us a call. 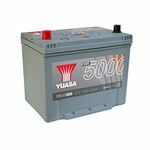 To help our customers find the ideal battery for their car or van at a great price and with a minimum of fuss and bother, we have made a wealth of information available. 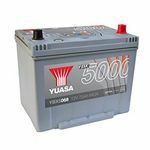 To learn more about a particular car battery that has caught your eye, click on the relevant link to access a product overview, our advice and recommendations, fitment specifications, technical information, along with details of the product’s warranty. All our car and van batteries come with a competitive warranty for your peace of mind. The first thing to do once you’ve found a battery that’s caught your eye is click on the link below the image and then click on ‘Fitment’. 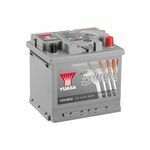 On this tab, scroll down and look for the make and model of your car or van to make sure that it’s a car battery or van battery that’s compatible with your vehicle. If you see your make and model on the list, then the battery is compatible and it could be the battery that you’re looking for. 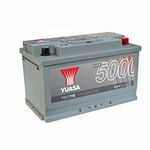 After ensuring the battery is suitable for your car or van, take a look at the product overview and the key benefits of the battery that we’ve listed. This information will help you understand the benefits that it has to offer you, the construction and design of the battery, and its additional features. Also, check the warranty to make sure it’s in-line with what you have in mind. While all our car and van batteries come with competitive warranties, some batteries come with two years and others four years. 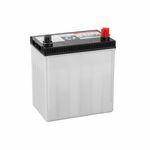 County Battery offers customers a free next day delivery on all car batteries. 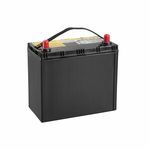 County Battery Services provide fast and reliable delivery service for all our car batteries and van batteries. 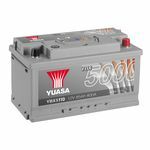 We offer free next day delivery on all car battery orders to all UK addresses, with the exception of lithium batteries and batteries containing acid which can only be sent to mainland UK addresses due to safety reasons. If you live outside mainland UK, please contact us before placing your order. Our delivery service is fast and reliable, though please allow one day for dispatch and then allow for your quoted delivery time. If you’re looking for a high-quality car battery, a long lasting van battery or a reliable battery for an application of any kind, County Battery is sure to have it in stock. For the broadest range of batteries in the Midlands and beyond, give us a call today. The battery experts at County Battery look forward to helping you with all your battery related needs.